Home » Can I sue my landlord for bed bugs? The short answer is yes, you can sue your landlord for bed bugs. Landlords are legally obligated to provide you with habitable living conditions. If your landlord has been notified of a bed bug problem but failed to resolve the issue, you can sue your landlord for the bed bugs and bed bug bites. We can help you file an apartment building bed bug lawsuit and sue the apartment owner and managers for the bed bug bites. Our law firm, the Bed Bug Legal Group, has years of experience handling such claims and has brought our clients millions of dollars in compensation. We know the laws in and out regarding bed bugs and apartments. Can I sue my apartment building owner for bed bugs and bed bug infestations? Can I sue landlord for bed bugs? Can a landlord be sued for bed bugs? Can an apartment complex or building owner be sued for bed bugs? Are landlords liable for bed bug infestations? Are apartment building owners liable for bed bugs? Are apartment building owners responsible for bed bugs? Are landlords responsible for bed bugs? There are a few factors that will need to be considered, and you will need to speak with an apartment bed bug infestation attorney. For your convenience, we will provide some general information below. First, however, it is crucial that you understand what bed bugs are and how they function. Bed bugs are small insects that feast on human blood. They are nocturnal and can only move by crawling. They tend to make their nests near where their victims sleep, primarily choosing to inhabit damp, dark spots that do not get examined or exposed too often. The bugs are reddish brown in color, flat-bodied, round, and when they feast on blood, they swell and engorge. Bed bugs can be detected by their musky odor, exoskeletons that have been shed, cream colored eggs, bloodstains on sheets, droppings, and more. You may not know that you were bitten by bed bugs. The creatures have an anesthetic in their saliva that prevents the hosts from feeling pain, and they can drink blood for minutes at a time thanks to the anti-coagulant they also have, which prevents the blood from clotting. Bed bug bites show up a few hours or days after the incident. They are raised red welts that may itch, but if you scratch them, you could turn them into festering sores. Some people have allergic reactions to the bites. If you are curious if the bites are from bed bugs or fleas, pay attention to the pattern and the discomfort level. Flea bites are much itchier while bed bug bites are generally in a zigzag pattern. For more details, reach out to one of our landlord bed bug infestation lawyers to help you file a bed bug apartment lawsuit. Yes, landlords are responsible for bed bugs if the creatures were already present when you moved in. Landlords must clean all units and homes properly before any new tenants move in or they will be in breach of many duties and laws. If you were bit by bed bugs and would like to find out if your can sue your landlord and hold them liable for your bed bug injuries, you will need an experienced bed bug attorney by your side. Do Landlords Have to Disclose Bed Bugs? Yes, landlords must disclose bed bugs if there are new tenants or if there has been a history of infestations. If there have been numerous bed bug lawsuits against apartment buildings, the landlord may wish to let you know. If there are any hazards like bed bugs present, you have a right to be aware of them. If you are not informed, you reserve the right to sue the landlord for failure to provide habitable housing. You can take the following steps to sue a landlord or apartment owner for bed bugs. To maximize your success in your lawsuit, take as many of the following steps as your situation allows. It is important that you file an apartment bed bug lawsuit to ensure that you are not denied any compensation you deserve. If your landlord winds up withholding rent and security deposits despite the fact that you signed a lease, he could be in major trouble. You should see to it that the landlord goes about deducting the costs from your rent. Bed bugs in your rental are a serious problem. Do I need a lawyer to sue my landlord for bed bugs in my apartment? Yes, if you were injured by bed bugs in your apartment, you will need a bed bug lawyer simply because of how difficult it can be to handle a claim without any prior law experience. You may not have tenant’s insurance and your landlord may not have landlord’s insurance, which can make the entire situation get messy. 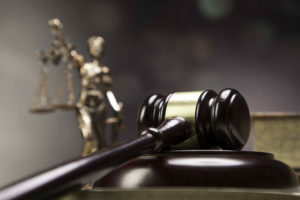 It is wise to look to a lawyer for help suing your landlord for the bed bug bites and injuries resulting from the bed bugs. You can focus on recovering from the injuries and returning to a normal life and career once the infestation has ended. Can you sue your landlord for bed bug bites? Yes, you can sue your landlord for bed bug bites. You can sue your landlord for a bed bug infestation if you were bitten and sustained injuries. A tenant can sue his landlord for a bed bug infestation because of the laws that are in place that prevent landlords from renting out homes that are contaminated, filthy, or unsanitary. If the infestation is apartment-wide, tenants can sue their landlord for the bed bug infestation that spread, provided the landlord was responsible. It is a landlord’s legal responsibility is to provide habitable housing, and if a tenant’s health or safety is violated and there is a breach of the implied warranty of habitability, then you can get compensation from your landlord for the bed bug injuries. Can Apartment Building Owner or Landlord Be Sued for Bed Bug Infestations? Renters who are bitten and suffer harm due to bed bugs are able to file a lawsuit if the owners of the apartment complexes negligent and harmful actions were the cause of the infestation. Below is important information regarding beg bug infestation laws and claims against landlords. If you have any further legal questions or would like to speak directly with one of our apartment bed bug attorneys, contact our law office. We can help you file an apartment bed bug lawsuit to seek apartment bed bug compensation. In most states in the country residential property owners owe their tenants a duty to provide an environment which is suitable for human habitations. Otherwise known the Warranty of Habitability the basic premise is that a rental unit must be fit to live in, landlords are ultimately legally responsible for insuring that their buildings are suitable for a human to live in. This includes a unit that is free from rampant infestation of bed bugs. There are four main elements that need to be proven in order to establish a case for negligence in a bed bug infestation lawsuit. The landlord owed a duty to the renter – under the warranty of habitability laws, the duty would be established. The landlord breached his or her duty of care – this can be proved by a failure on the part of the property owner to provide for proper extermination of bed bugs. The breach of the duty resulted in the infestation of the unit. 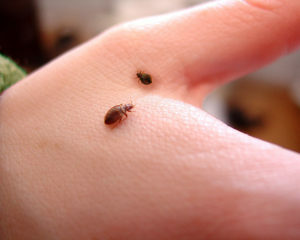 The infestation resulted in injury to the tenant evidenced through bed bug bites. You can file a premises liability claim against the property owner if you can prove that the landlord knew about the bed bugs and elected to do nothing about them, if he caused the infestation by bringing in infested furniture, or if he did not know about the infestation but reasonably should have. Bed bugs infestations have witnessed a dramatic rise over the past decade. There are many theories as to this epidemic. One theory suggests that the elimination of the use of DDT, a power chemical insecticide, due to harmful effect to the environment is the main cause. Others believe the ease of air travel and transportation is the main cause. One of the problems is the lack of attention that many hospitality establishments pay to their rooms, and further, the fact that many landlords do not seem to be too diligent about cleaning their apartments. If a landlord allows a bed bug infestation to take place in an apartment, the tenant can file a bed bug lawsuit against the apartment landlord for the bed bug bites resulting from the bed bug infestation. In the worst cases, the entire building can get infested, resulting in numerous parties suing an apartment landlord for bed bugs. Landlords must pay to exterminate bed bugs that a tenant has not introduced. As long as you can prove that the bed bugs were present prior to you moving in, you should be able to receive the compensation you deserve. Of course, landlords will claim that you brought the bed bugs in, but if you have ample proof from an inspection, depth of an infestation, or the introduction of furniture that your landlord purchased, you will have an easier time. Let our lawyers help if you plan on suing a negligent landlord for bed bugs. We can make sure that your case is handled correctly. You may have a lawsuit worth over $500,000, and we can ensure that you’re fully covered. All legal consultations are provided free of charge. To contact our law offices toll free, simply fill our free case evaluation form on the website and we will get back to you right away. You are invited to ask us anything you wish during a free consultations, and all of the details of the conversation will be kept completely private and confidential. We are available 24 hours a day, 7 days a week. Many other law firms will not take a bed bug infestations case unless the client provided them with some type of upfront retainer fee. However, the Bed Bug Legal Group works on a contingency fee basis meaning that our clients do not have to pay any out of pocket fees for legal expenses incurred. We also proved a NO WIN ZERO FREE GUARANTEE meaning that if we are not able to provide a settlement or jury verdict in your favor you will not owe us any fees. The Bed Bug Legal Group has a team of aggressive and experienced lawyers that will stop at nothing until you are satisfied with the settlement. If we need to take your case to court, we are willing to do so. You should hire a bed bug lawyer to sue your landlord if you were bitten by bed bugs. Let our firm represent you – reach out today.